Raising the issue through a zero hour mention, Sharma said parallel FIRs and multiple cases for the same alleged offence are being registered by the CBI, the DRI and the ED. 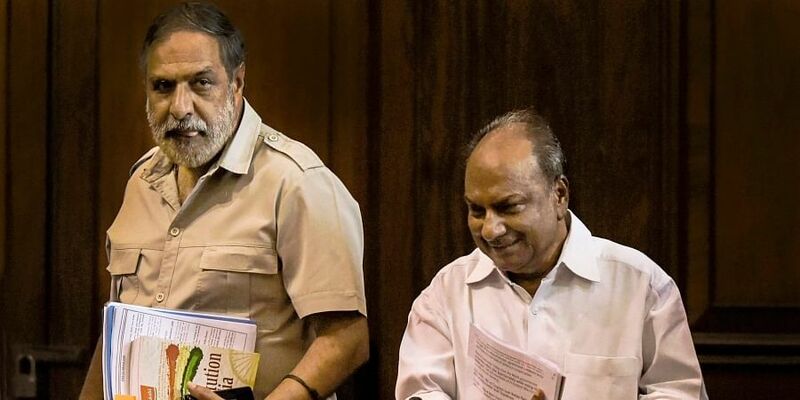 NEW DELHI: Opposition Congress leader Anand Sharma today accused the government of misusing central agencies like the CBI and the ED to settle political scores, leading to an atmosphere of "distrust, fear and terror" in the country. Raising the issue through a zero hour mention, he said parallel FIRs and multiple cases for the same alleged offence are being registered by the CBI, the DRI and the ED. "They (agencies) are not instruments to be abused by the government for targeted political vendetta," he said. Sharma said a distinction needs to be drawn between bonafide decision and actions of corruption. He went on to allege that investigating agencies were trying to "extract" confessions to implicate certain people. He, however, did not cite any specific case. This led to protests from treasury benches with Minister of State for Parliamentary Affairs Vijay Goel stating that Sharma was trying to demoralise investigating agencies. Chairman M Venkaiah Naidu said legal avenues were available and why was Sharma demoralising agencies. Sharma said if parallel FIRs for the same alleged offence was an oversight, why was the government silent.